Hitec HS-900SGS and HS-1000SGT Giant Scale Servo’s « Big Squid RC – RC Car and Truck News, Reviews, Videos, and More! The crew at Hitec have devoted their lives to coming up with the best servo’s for any application. Further proof of this is their new giant scale digital servo’s called the HS-900SGS and the HS-1000SGT. Both of these new servo’s are beasts, not only in size, but also in power. 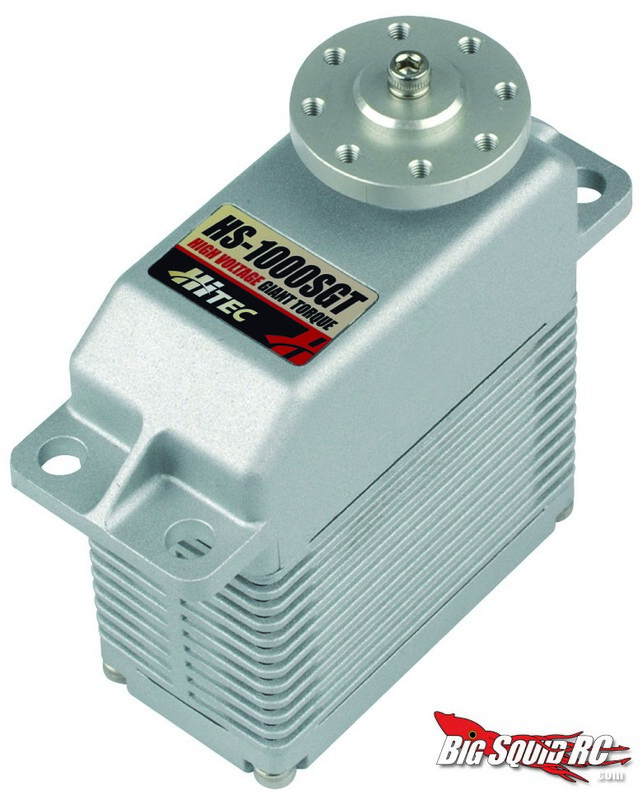 The latest Hitec servo’s come with solid steel gears and all aluminum cases to remain durable even in heavy duty applications. Giant scale servo’s are normally used in 5th scale surface vehicles and in giant scale aircraft. Both of the new Hitec giant scale servo’s measure in at 2.52 x 1.30 x 2.87 in and both weigh in at a whopping 12.8 oz. For power, this is where it really gets fun. Both of the new servo’s are set-up to be run off of 3S and 4S Lipo batteries. The HS-900SGS puts out 903 oz-in (at .20 speed) on 11.1 volts and 1208 oz-in (at .15) on 14.8 volts. The HS-1000SGT ups those torque figures with 1167 oz-in (at .26) on 3S and puts out a ridiculous 1528 oz-in (at .19) on 4S. 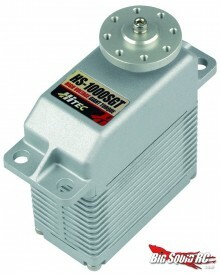 If you are looking for truly insane power for that special project of yours, these two servo’s certainly fit the bill. Street price on each unit is expected to be $425 and part number for the Hitec HS-900SGS is #34900 while the part number for the HS-1000SGT is #34100. Would you like to read more Hitec news? Hit up THIS LINK right here on BigSquidRC.